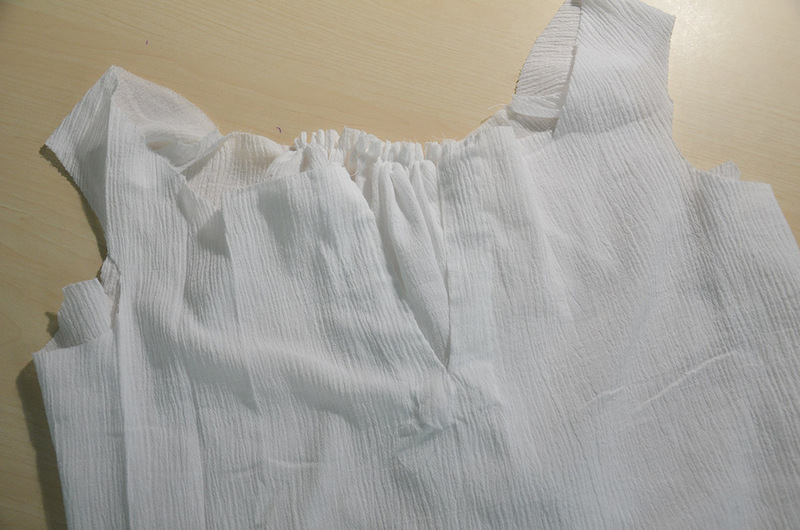 I wish I had something more exciting to post today, but it’s come to the point where I have to blog about the most boring aspect of this costume: The chemise (also called a “Shift” and “Smock” in the 1500s). The title is kind of misleading, due to certain circumstances I didn’t end up doing any research prior to making this. I used this blog post as a reference point and made everything up. Which is a shame because there are some really gorgeous shifts from the 1500s and 1600s. Embroidery was such a big part of everyday dress and the undergarments were no exception. The blackwork embroidery often seen on shifts was so delicate and lovely. Over the last few days i’ve put more effort into researching them and they can be stunning garments while still being practical. Making a more elaborate one is now on my list of eventual historical sewing goals! But this chemise in particular isn’t going to be seen at all. Not even the neck or cuffs. The only purpose of it is to provide a layer between my skin and the bodies, and to keep the kirtle/dress/sleeves clean. 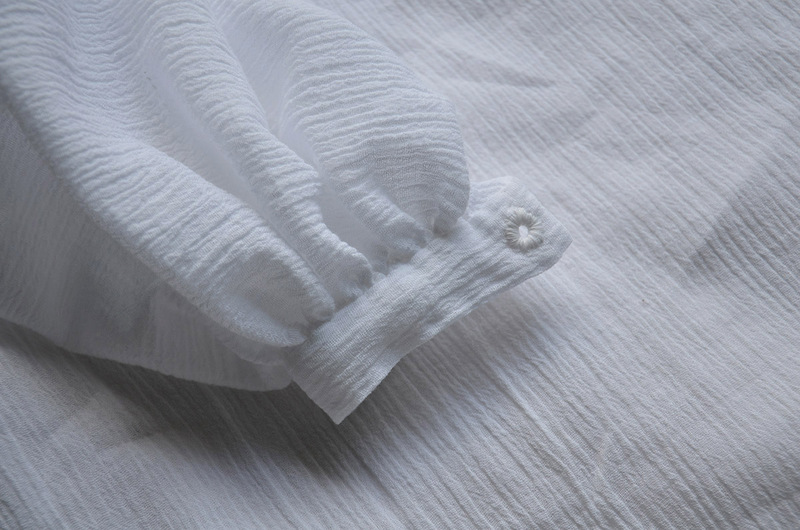 So it’s about as plain as you can make a garment. 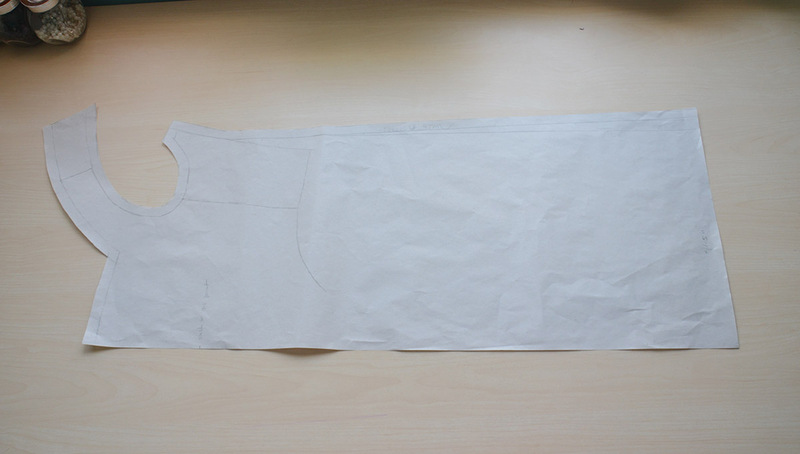 I ended up flat drafting the pattern, two panels make up the body of the garment (one at the front one at the back) and it has gathered sleeves with cuffs that lace closed. 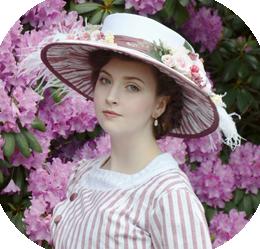 I feel a bit silly about drafting this since my additional research led me to realize I have several historically accurate patterns hidden in Janet Arnold’s books which I own. Damn. Anyway! 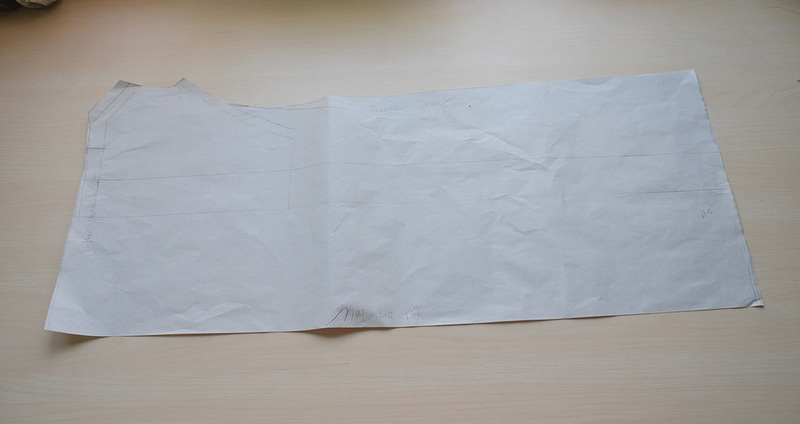 Here is the pattern, this is the front panel. The neckline was based off the pattern of the pair of bodies with a few adjustments. And the back panel. Both of these need to be cut on a folded edge. 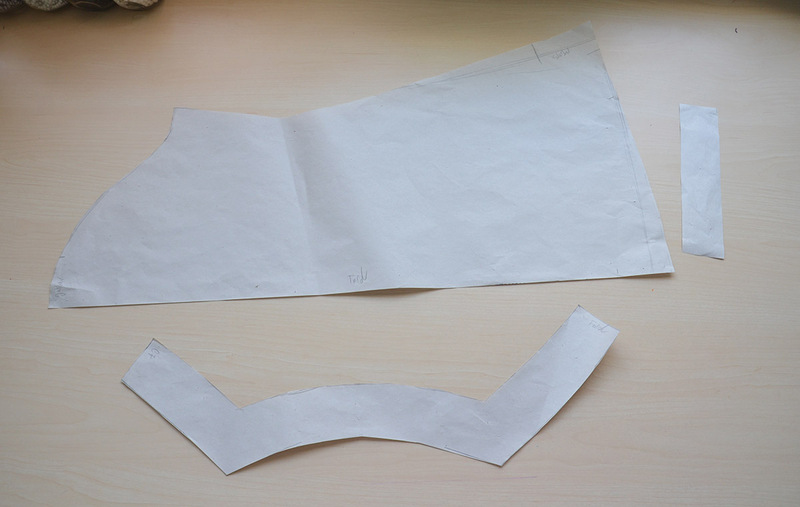 These are the sleeves, cuff, and collar facing. Step one was cutting everything out. I used cotton gauze which I had purchased at Joanns, which isn’t very accurate but I LOVE the texture and weight of this fabric. It’s an absolute dream to work with and I would definitely use it for more undergarments in the future. When everything was cut out I started working on the front panel. The front got slashed a few inches down the center and I pinned the edges over. Then the edges got stitched down. 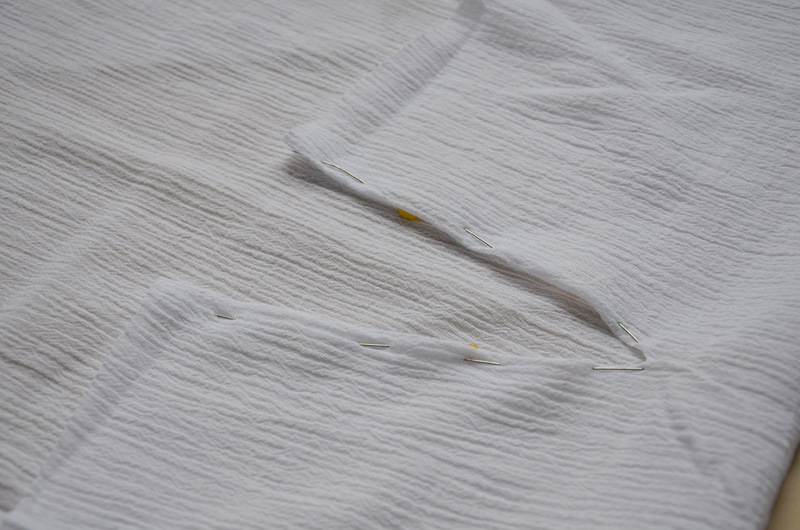 I cut out rectangles of the gauze and turned the edges inward. Then those were whip stitched surrounding the slash to reinforce the edges. I moved on to the back panel, which is gathered at the neck. I actually misread the pattern I made and gathered it down to four inches instead of eight. I didn’t realize the mistake until I was a little farther along but luckily I was able to fix it without any problem! 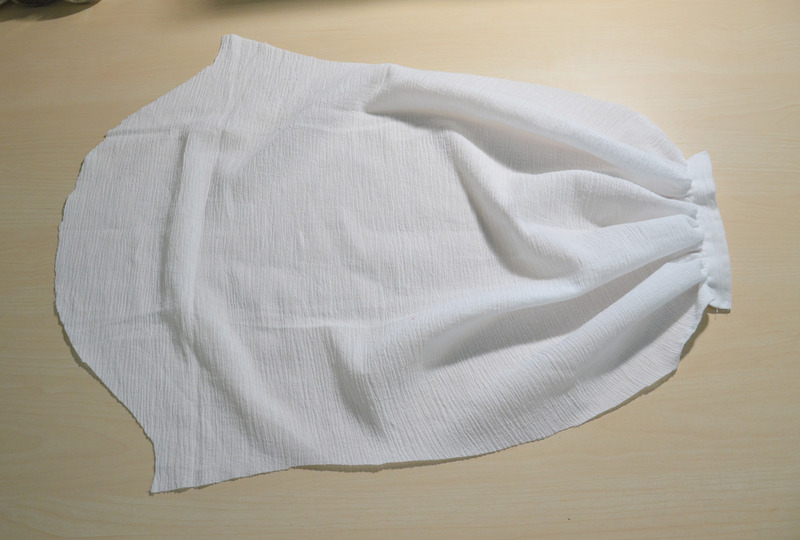 Then I sewed the shoulder seam, which secures the straps to the back panel. Now the neckline was ready to have the facing added. The top edge will be encased in a seam but the lower edge had to be folded over and finished by hand. 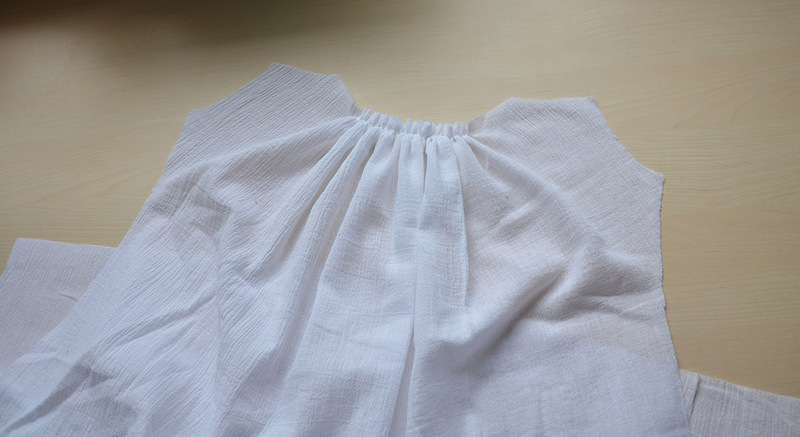 I attached the top edge of the facing into the neckline by machine, sewing it the typical “right sides together” way. But I stitched the lower edge by hand to avoid having any visible top stitching. When the facing was sewn in I did up the side seams. 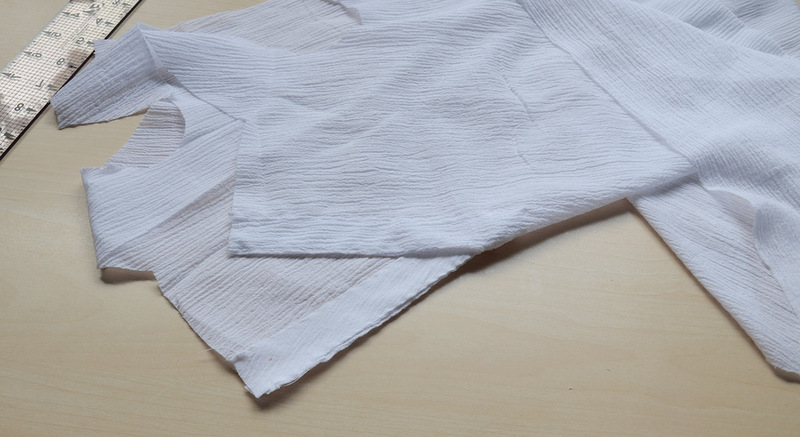 I used french seams to encase the raw edges even though this fabric doesn’t fray much. 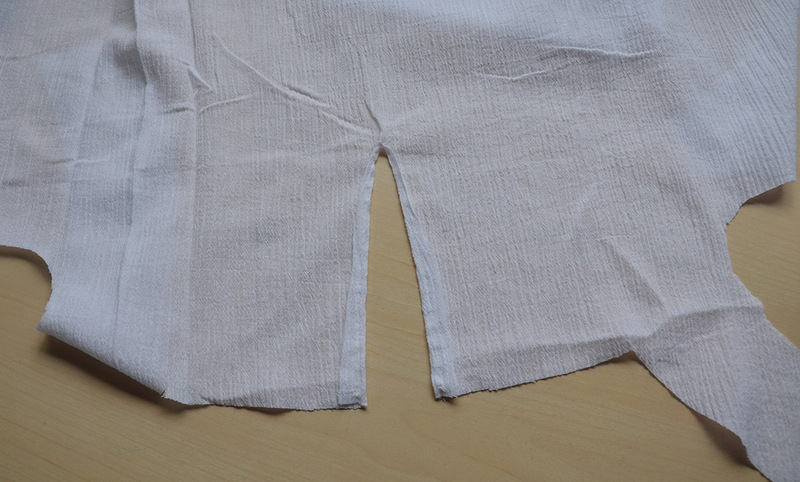 I also hemmed the bottom edge by turning the edge over a half inch and used basting stitches to secure it. Then I turned the hem in a little more than an inch and whip stitched it in place. Lastly I sewed eyelets down the slashed front. And then it was time for sleeves! 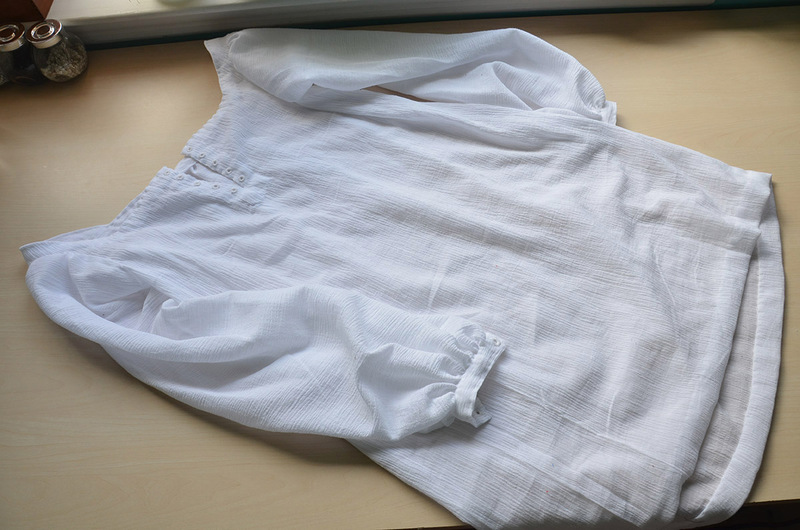 The sleeves on this are really quite simple, they are loose and gathered so fit isn’t really an issue which makes them a lot easier. After cutting them out I gathered the lowed edge by hand. I think this edge was gathered down to six inches including seam allowance because I have weirdly small wrists. I turned the bottom three inches of the edges inward. 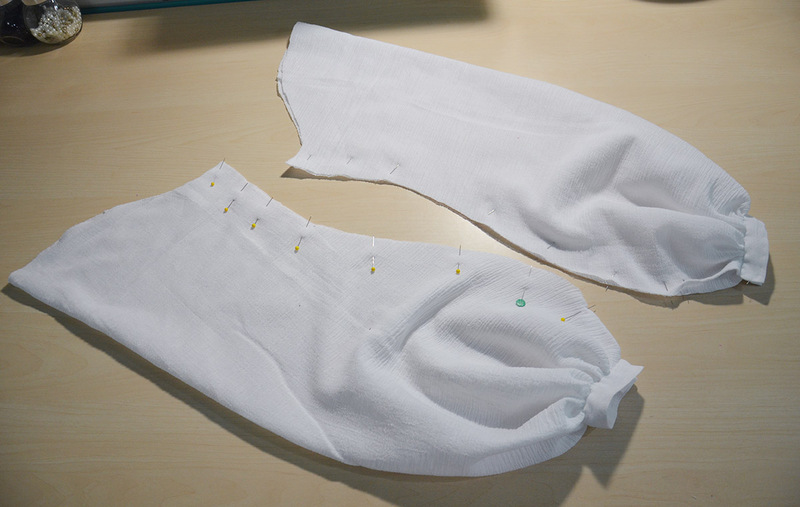 When the side seam is done up i’ll leave the bottom few inches open to allow my hand to slip through and it’s easier to finish that edge before sewing the seam. Then I attached the cuffs. These are just small rectangles with the edges turned over. After they were sewn on I used even smaller rectangles to line them. Then the side seams got done up with french seams, as I mentioned earlier I left the bottom few inches open. Then they got sewn on to the body of the chemise. 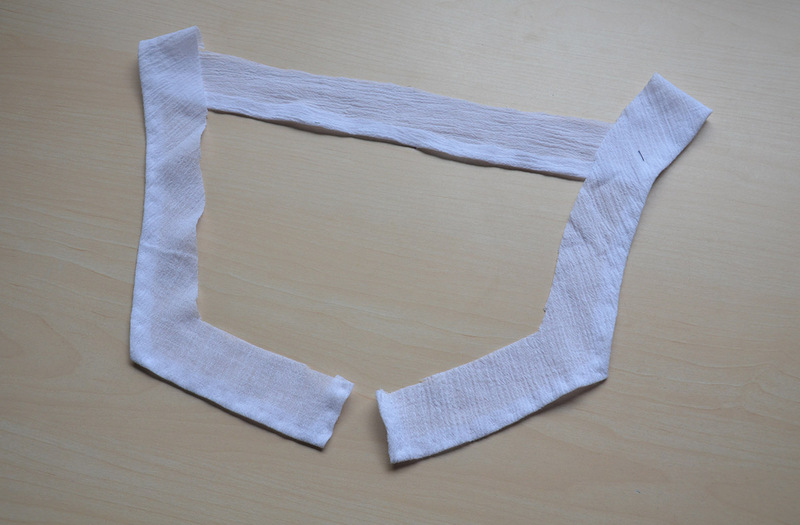 Lastly I stitched eyelets onto each side of the cuffs and it was done! Overall I really like this, it was easy to make, kind of fun, and turned out pretty well. Certainly a much better end result than my pair of bodies and farthingale! Thanks for reading! 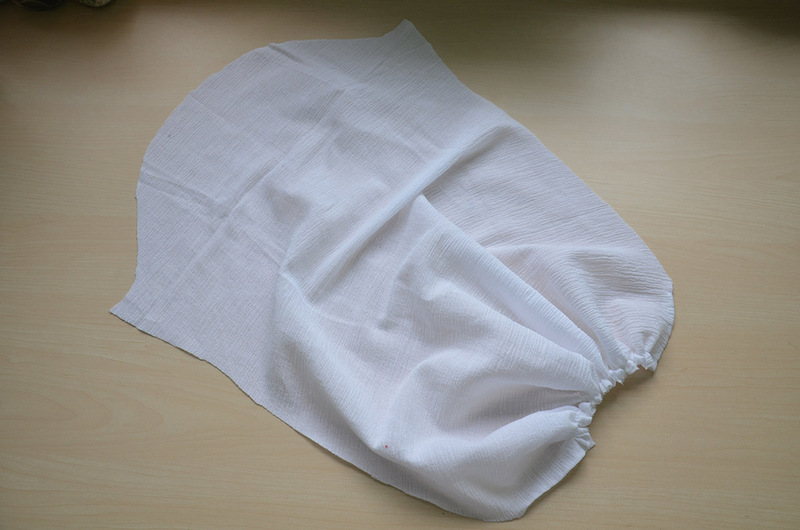 That’s the end of my tudor undergarments so now I can move on to more exciting things. Hopefully the next post will be more interesting, I think it will have something to do with the kirtle that goes with this project. 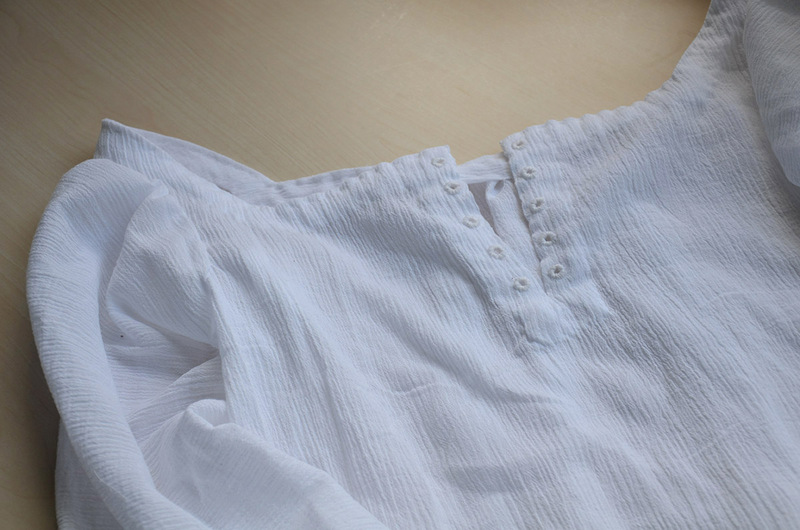 There is a term ‘Slammerkin’ which refers to a woman’s loose dress. I’m not certain if this would be a slammerkin. It can also be used to describe slovenly dress or a ‘loose’ woman. I think it’s from The mid 1700’s. There is a novel by Emma Donaghue called “Slammerkin” which revolves around a prostitute in that era who is trying to rise up In The world. This comment is all over the map. Just stuff I,thought that might interest you since your posts always interest me. I’ve never heard that term before! I doubt it would be, because chemises weren’t even really considered dresses back then. But that is interesting to know! Thank you – i’m glad you enjoy them!